Colorado Springs, Southern Colorado and Northern New Mexico stories and series from award-winning 91.5 KRCC staff and local producers. 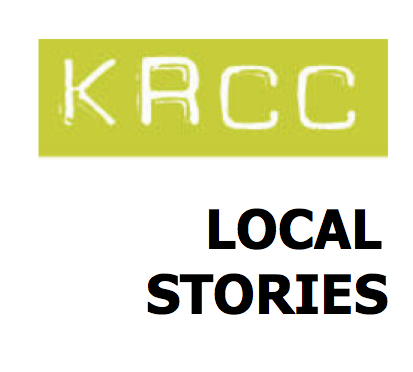 Looking for recent 91.5 KRCC daily newscasts? Click here. Looking for the 91.5 KRCC newsroom-only feed? Click Here. Subscribe to 91.5 KRCC Local in iTunes. Subscribe to 91.5 KRCC Newsroom in iTunes. Subscribe to 91.5 KRCC Newscasts in iTunes. Subscribe with an Android device. Colorado Springs plays a leading role in a new film by director Spike Lee, which opens in theaters this weekend. BlacKkKlansman tells the story of Ron Stallworth, the first African-American detective to serve in the Colorado Springs Police Department, who infiltrated the local chapter of the Ku Klux Klan in the 1970s. A Pre-festival Party Kicks Off Blues Under The Bridge Friday At 7 p.m. The 12th Annual Blues Under the Bridge Festival gets underway this Friday evening at 7 p.m. with a pre-festival party featuring Chris Thomas King and Colorado's A.J. Fullerton in the Gold Room at the Wyndham Grand Mining Exchange. 91.5 KRCC is giving away dozens of pairs of concert tickets this summer. Subscribe to the weekly 91.5 KRCC Music Newsletter, and opt in to be eligible to win tickets to some incredible summertime concerts! This week, 91.5 KRCC is giving away tickets to the 12th Annual Blues Under the Bridge Festival on Saturday, July 7th. Headlining the festival this year are Los Lobos, and Chris Thomas King. 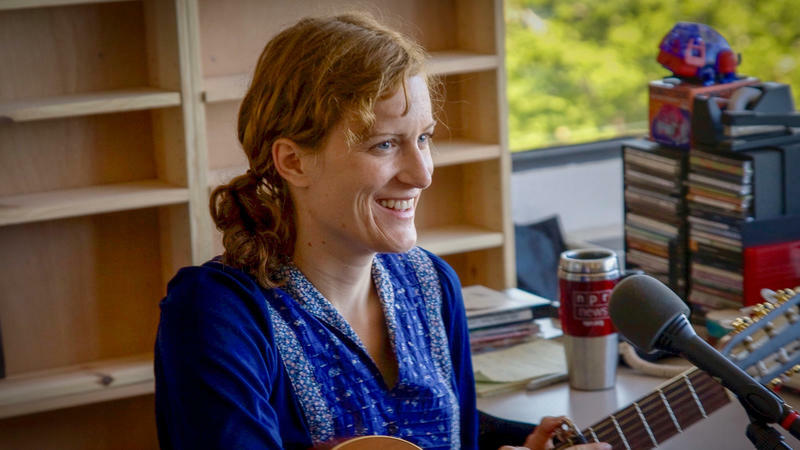 Local talent will include Kerry Pastine and the Crime Scene, Grant Sabin's Juke Joint Highball, and Vegan Wolf. For our second episode of the Converge Lecture Series Podcast, we're joined by poet Richard Blanco. If you watched the second inauguration of Barack Obama in 2013, then you're familiar with Blanco's work. The White House asked him to write and read a poem for the occasion, making him one of only five writers ever to have held the title, “Inaugural Poet,” a distinction he shares with Robert Frost and Maya Angelou. He was also the youngest, first Latino, immigrant, and gay person to hold the position. PRI and WNYC have named Tanzina Vega as the new host of the nationally syndicated show The Takeaway which can be heard weekdays from 9 to 10am on 91.5 KRCC. Previous to hosting The Takeaway, Ms. Vega was a digital correspondent for CNN Politics, and before that, she spent 8 years as a reporter for The New York Times. Listen for Tanzina Vega beginning next Monday, May 7th at 9am on 91.5 KRCC. Zach Rose and Deirdre Greevy discuss finding common ground on guns despite their political differences. As the march for gun reform in downtown Colorado Springs was winding down this weekend, 91.5 KRCC noticed something a little bit unexpected. Seated at a table in Acacia Park on the periphery of the rally were a man and woman wearing hats that immediately betrayed their political differences. Hundreds of people, possibly 1000 or more, turned out in Colorado Springs Saturday to protest gun violence and call for legislative action on the issue. The downtown rally was part of a nationwide action, dubbed #MarchForOurLives, organized by survivors of the Marjory Stoneman Douglas shooting in Parkland, Florida. Distillery 291 in Colorado Springs, Colorado, wins 'Best American Rye" for the second time at the World Whiskies Awards on Tuesday, February 27, at Brandy Library in New York City. Whisky Magazine, based out of the UK, categorizes select countries for the first round, from there the winners move forward onto the global awards in London that take place on Thursday, March 22. RMFR catches up with Michael Myers, owner of Distillery 291, while he’s still on the East coast and he shares with us how he’s savoring the moment. Coquette's Bistro and Bakery, Colorado Springs' innovative, gluten-free restaurant, grows their brand with expertise from new hire, Johnathan Shankland, operations manager, formerly at The Antler's, A Wyndham Hotel. Since starting his position in November 2017 Shankland says the purpose of his role is to allow Michelle and Turu Marx, co-owners and mother/daughter team at Coquette's, "to start looking outside of these four walls." 91.5 KRCC Gives Away Tickets, Tickets, And More Tickets! The 2018 Concert Season is well underway, and 91.5 KRCC will be giving away a pair of tickets every other week through the 91.5 KRCC Music Newsletter. Sign up here to get the newsletter, (and your chance to win) delivered to your inbox Thursday mornings.